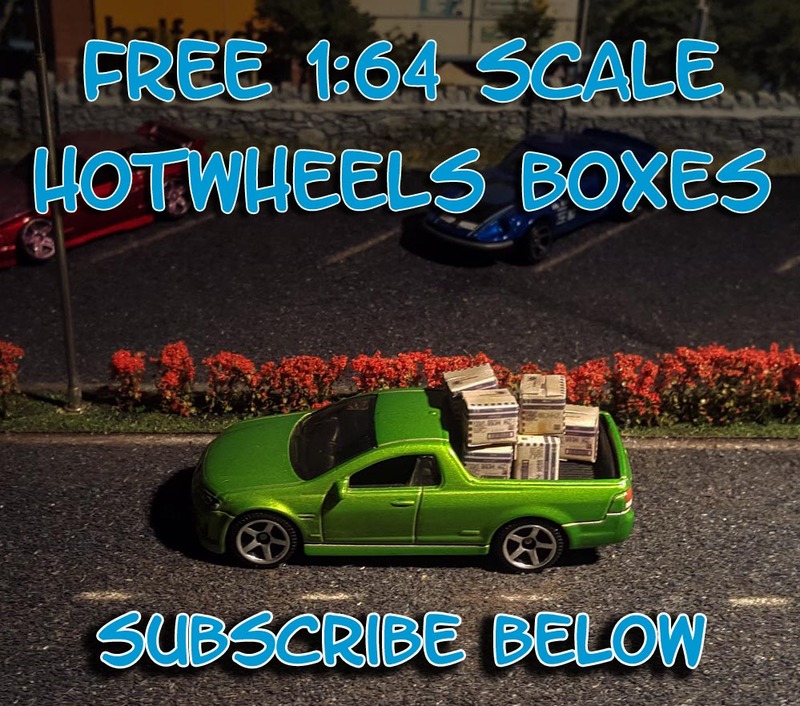 So You Don’t Like The Decals HotWheels Applied? Yeah, I don’t blame you. They’ve been getting worse and worse every year for a while now. 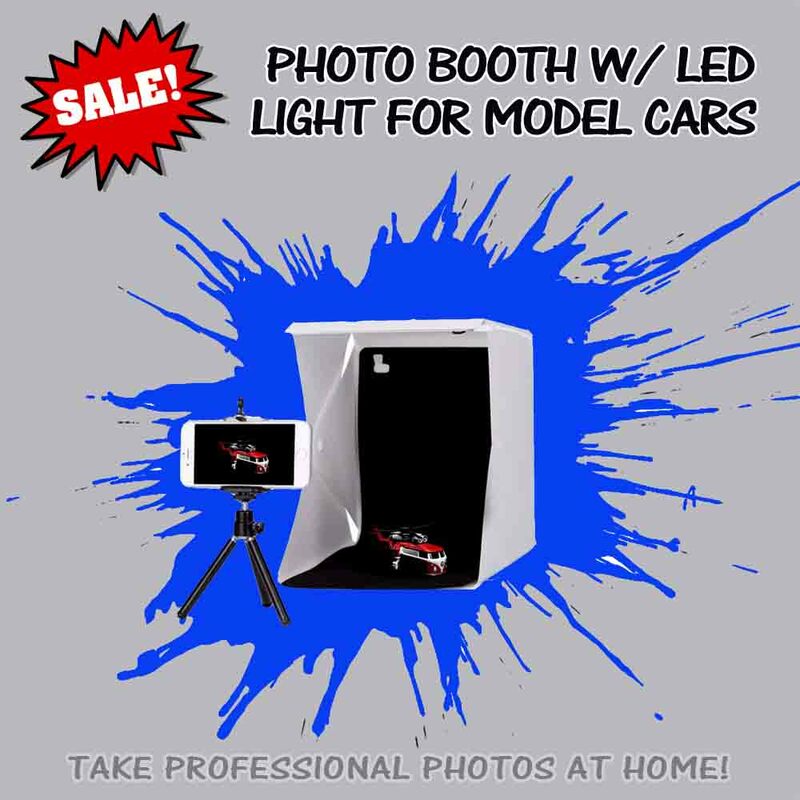 Which is why I created my own Hot Wheels Decal Store – the only online shop devoted entirely to 1:64 Scale Decals for Hot Wheels and any other branded Diecast Cars. 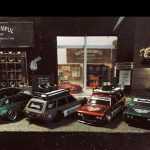 Click the link above (page will open in a different window so you won’t lose your place) and peruse the ever growing range of racing livery and movie themed decals, with a heavy focus on JDM and various automotive racing team livery. 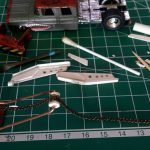 But before you can add any of these hellasweet decals we need to get those ugly original Hot Wheels Decals aka tampos off the casting. So ummm yeah, let’s totally do that now! The first things we need to know is what we can use, and also what we can’t. Goof Off – which is brand of graffiti remover which contains mostly, you guessed it. Acetone. Avoid using Nail polish remover as this will remove the tampos AND the paint as well. Keep in mind that sometimes even the acetone will remove some of the paint around the door trims and edges of the casting. This only happens in cases where the paint is either a lighter colour or it has particularly bad paint coverage already. 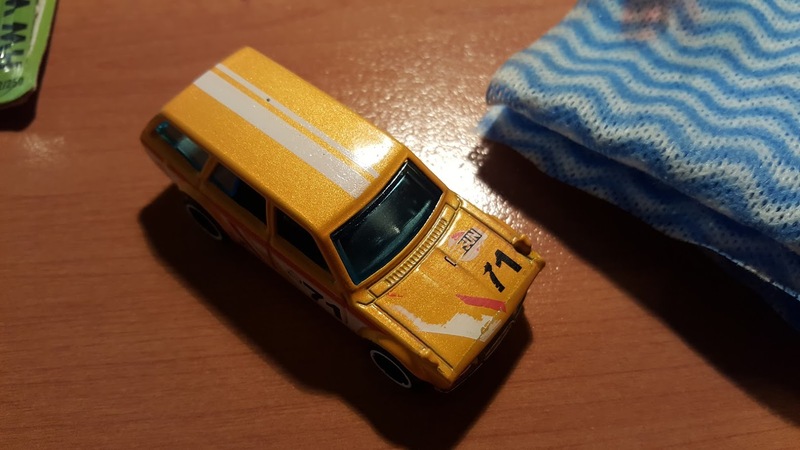 In this example I will be using the Datsun 510 Wagon, the latest mainline release. I’m not sure why I did to be honest as this particular colour does not do well with the whole decal removal thingy. It’s not this car either because I have done this on 3 different models all with the same result. If you tried this on a black or red car you would find none of the paint was removed and well the example would have looked heaps better. Damn you hindsight! Spray or rub the Acetone onto the cloth/rag or q-tip and then apply this to the car. This pic shows the results of me rubbing without applying any force what-so-ever for all of ooooh, 5 seconds. 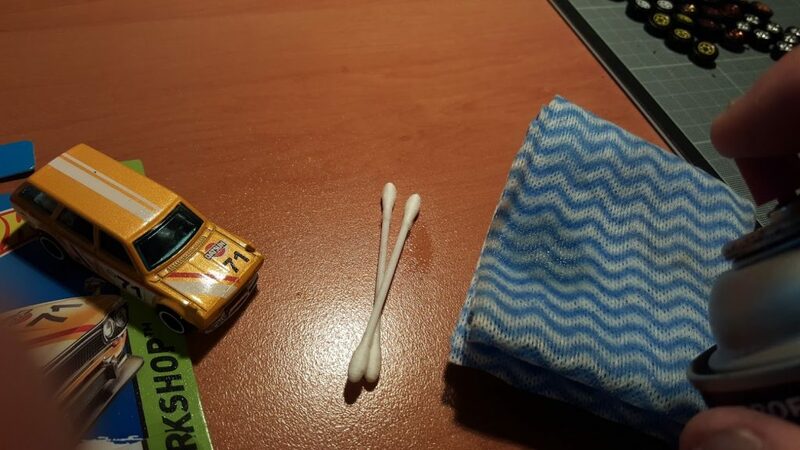 For harder to access or more finicky spots on the car use the earbuds. You will find you need at least 3 or 4 (using both ends) for even one section of the car as they will gummy up with the colour of the tampos very quickly. You can see sections of the fuel filler cap and the wheel arch have lost some of the yellow paint. This is not something you should expect on most of the cars you try, trust me. This bloody model though I tell you?! Mattel getting slack man. EDIT – UPDATE – NEW HACK! 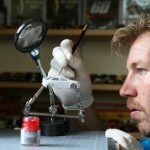 I came across this method through a number of commentators on the Facebook post of this very article – and as soon as I read it I knew it would work – because I had been using the same method myself for over 10 years – I’d just never thought to apply it to Hot Wheels Customs! Remove The Factory Tampos With a Whiteboard Marker! 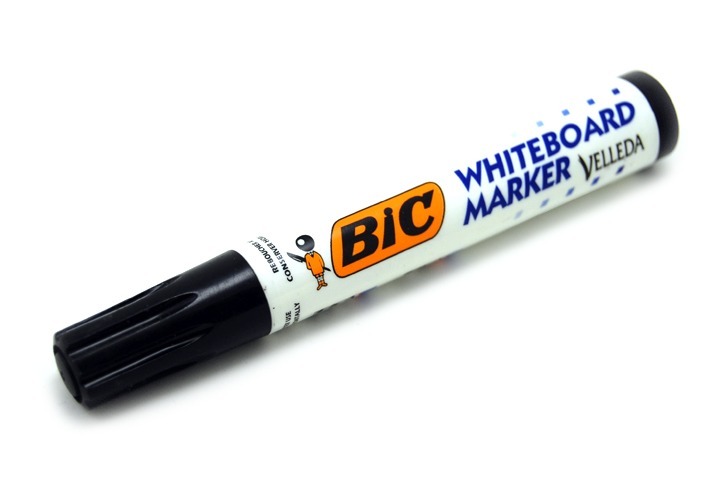 One of those awesome life hacks I was lucky enough to come across many years ago was a great trick to removing permanent marker from a whiteboard. Basically all you had to do was scribble over the permanent marker lines with a whiteboard marker and when you rubbed it away it took the whiteboard AND the permanent marker with it. 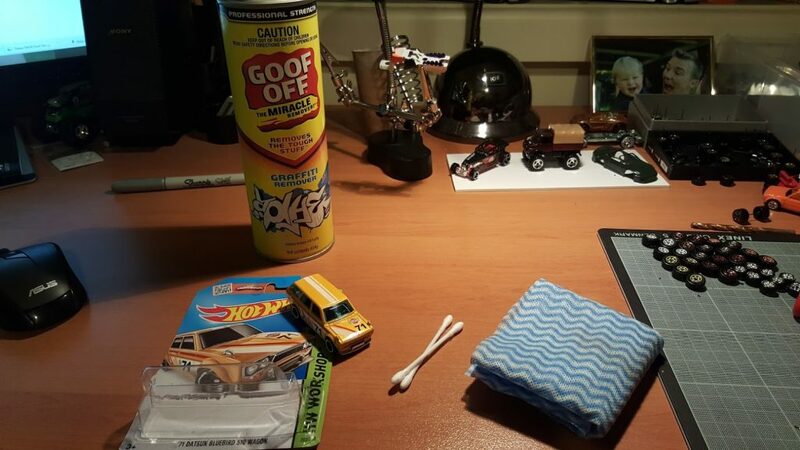 Obviously there is some sort of acetone in the whiteboard marker so as to prevent it becoming a permanent marker – and seeing as there is enough to also dissolve away a permanent marker line it makes sense that it would dissolve away the tampos on a Hot Wheels car. 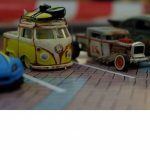 Why Did Hot Wheels Call Them Tampos? OK it’s seriously bothering me and so I had to find out. Now I also thought I would share it here for two reasons, 1) because it is relevant and somewhat interesting, and 2)- because only one of us should have to go through the joy of having Google show us the unadulterated history of the tampon because it can’t handle your request?!!? 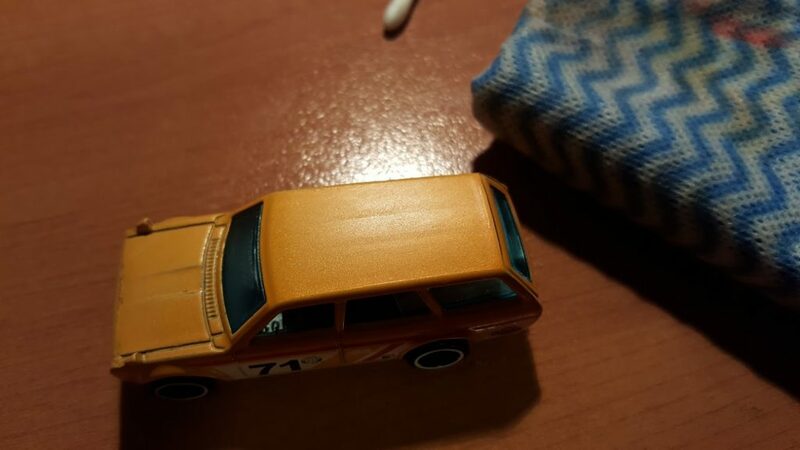 Tampo refers to the process in which graphics are applied to Hot Wheels. This process was put into full production use in 1974. Well there you have it. Little underwhelmed to be honest. Although if I put my lawyer hat on then what I read is that they are actually called Graphics. ? . Decals still sounds better. I’m surprised that you’ve had success using acetone! Even trying with very little force, acetone always takes off a noticeable amount of base paint along with the tampo. I’ve had better success using 90%+ rubbing alcohol. Closer to 100% is better, but even the ~70% stuff at the supermarket still works. You’ll need to use more muscle when rubbing than described here, but it’s much more forgiving, IME. Not coincidentally, dry erase markers nowadays use ethanol/isopropanol as the solvent. Twenty years ago they used benzene based solvents, so if you have really old ones around they may work worse or better for you, who knows. Thanks for the value add Warren! I did try the dry erase marker hack as listed above, but did not have any success with it whatsoever over the weekend after multiple attempts. Going to try the rubbing alcohol advice from Warren above and see what kind of results it has. I want to keep the original paint, so I’m hesitant to try the acetone. 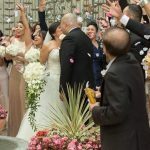 Will keep you posted!